For the core industries, Exide has a standalone range of five standby batteries benchmarked to the highest international standards. Referred to as the "formidable five" in industrial circles, these are the top of the line. These are the heart of core industries like Power, Oil & Gas, Steel, Cement, Telecom, Railways, Urban Metro, IT, Financial Institutions, and Non-Conventional Energy Systems. Exide Tubular batteries in PP & Transparent SAN containers are time-tested and have an outstanding track record. The batteries have Tubular plates specially cast in High Pressure HADI machines to battle corrosion effectively and ensure longevity. These low-maintenance batteries are extremely abuse-resistant and can operate under arduous conditions with great reliability and efficiency. Exide Tubular cells have built their reputation on their long standing ability to provide instant power to equipment. These batteries have excellent discharge performance, besides offering long and reliable service life. These are ideal for frequent charge/ discharge cycles and have low self-discharge, superior all round voltage profile and energy (Wh) output. These Tubular batteries recharge rapidly and have higher Ampere-hour and Watt-hour efficiencies. These batteries conform to IS 1651: 2013. 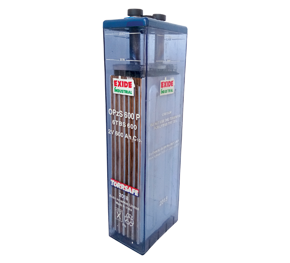 Exide Tubular batteries are ideal for cyclic applications and are very commonly used in Transmission & Distribution, Power, Cement, Steel, Oil & Gas and Petrochemical sectors. A truly reliable standby battery needs to consider a divergent mix of variables like load, its duration and DC bus voltage window, expected frequency and depth of discharge, ambient temperature, criticality of operations and charging facility. Exide TBS tubular batteries are a great choice since these are tailored to meet all this need. These are rugged batteries with Exide Torr Tubular technology. The facility of measuring specific gravity of the electrolyte, voltage and temperature of cells allows anomalies to be detected well in advance. This makes preventive maintenance very easy and readiness during emergency discharge is always ensured. Positive tubular plates cast at a high pressure of 100 Bar in imported HADI machines, making them corrosion resistant. Spines made of Lead Antimony Alloy ensure low water loss and therefore low topping up. In-House non-woven Gauntlet made from special imported cloth to hold Positive active material and ensure consistent output. Imported micro porous separators for high temperature stability and to prevent penetration shorts. Plastic encapsulated moulded bolt-on terminals for better electrical performance and prevention of crevice corrosion. Innovative ceramic vent plugs trap fumes and prevent acid spoilage to reduce top-up frequency. Cells housed in transparent SAN containers for clear visual monitoring. 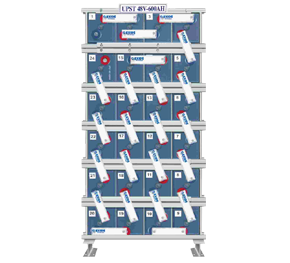 Very low maintenance-transparent container to allow easy detection of faults. Plante range of batteries have become synonymous with reliability and are the first choice in power plants, sub-stations and core industries, wherever reliable standby power is absolutely essential for critical operations. With proper care, Plante batteries can last for 20 years or more. Exide Plante batteries use 99.99% pure lead in the positive plate and low antimony lead alloy in the negative plate. The absence of leachable impurities in the positive plate, along with stated technological innovations, ensure long life as also ruggedness under extreme conditions. This range of batteries can handle extreme temperatures. 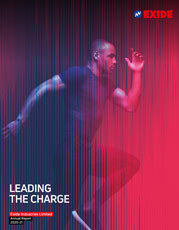 The Plante batteries have excellent discharge capabilities and can operate within a narrow voltage of charge-discharge. The distinctive, transparent SAN containers are easy to monitor visually. The health of the cell can be determined by checking the electrolyte level, the colour of the plates and the condition of the separators. The vent system ensures that physical measures, such as for specific gravity, can be measured with ease. By monitoring the specific gravity, one can know the state of charge of the battery. Standby power backup must be 100% reliable at all times to meet the sophisticated requirements of integrated mining operations, beneficiation plants, cement plants, fertilizer complexes, petrochemical plants, refineries or any other complex manufacturing and service application. A new generation international-class standby battery has to operate in high and low ambient temperatures, deliver high current for short durations or low current over long periods and also operate at partial state of charge. Suitability for frequent discharge-charge cycling is a must. Other criteria include low/ zero maintenance and low footprint in addition to parameters like user-friendliness, excellent discharge performance, superior all-round voltage profile and energy (Wh) output and rapid rechargeability. Also, such a standby battery must deliver high Ampere-hour/ Watt-hour efficiency and have a long and reliable service life. Exide Gel Tubular batteries meet all the requirements. The Exide Gel Tubular battery offers a robust energy storage solution that does not need topping up and performs in high ambient temperatures. 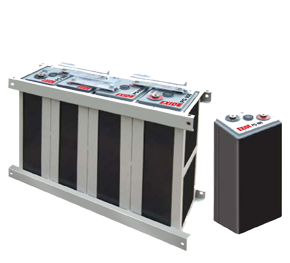 Exide Tubular Gel batteries offer a very low footprint and can be stacked one above the other inside modules. These batteries are highly suitable for deep cycling applications. 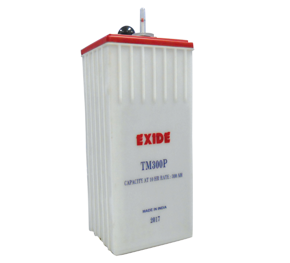 The Exide Tubular Gel batteries conform to IEC 60896-21/22 and IEC 61427. 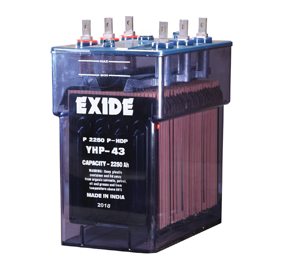 Exide Power safe VRLA Batteries have been developed by Exide R&D center, in close collaboration with Shin Kobe Electric Machinery Co. Ltd., Japan, the manufacturers of Hitachi batteries, and are suitable for stationary applications in Indian conditions. The overall battery package is essentially directed towards attending to the inevitable rigorous environmental factors under which batteries are expected to perform in India. These include prolonged elevated temperature operation, frequent charge/ discharge cycles and occasionally deep discharges. Power safe Batteries use a proprietary composition of lead calcium and tin alloy for the positive grid. Alloys based on calcium are inherently of low float current characteristics. The grid alloy per se leads to low float current and hence low water loss and oxygen recombination. This inherently means that heat evolution in lead Calcium system is low. This, together with better thermal management, allows the Exide VRLA batteries to perform better in extreme temperatures. Ribbed container design for better thermal management in the system. Self-resealing flame arrestor fitted safety valve. An ISO 9001 and ISO 14001 certified company, Exide is the only eco-friendly manufacturer to offer lead acid batteries from 2.5 Ah to 20400 Ah. With technical assistance from Shin Kobe Electric Machinery Co., Japan, Exide Powersafe UPST is built on an experience of over 65 years in R&D manufacturing and field operations. 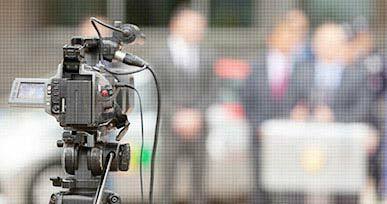 Also, the company's large network ensures easy accessibility and service in zero down time.